Now with brand-new packaging and plastic snap-shut cases! 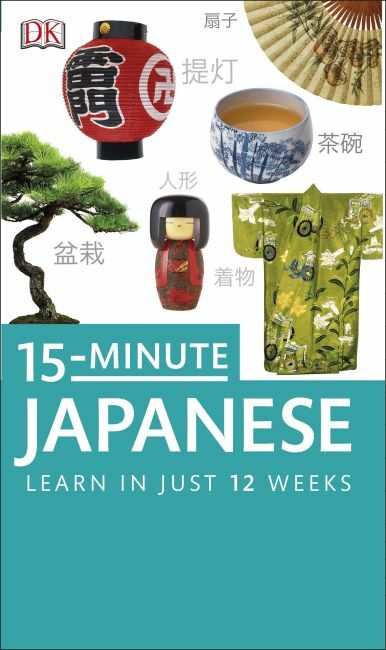 Learn Japanese with confidence in just 15 minutes a day, with this revolutionary system for learning a language. The combination of visual guide and CDs makes learning quick, easy, and fun. No writing or homework - just use the cover to hide the answers and test yourself as you learn. Perfect your pronunciation by hearing native Japanese speakers on the CDs. Real-life examples cover every holiday and business situation. Whether you're starting from scratch or in need of a refresher, there's no easier way to learn Japanese - fast. Each pack contains two hour-long CDs, so readers can learn pronunciation by hearing native speakers. They also include a full color course book with themed chapters and real-life examples, a menu guide, and translation dictionaries.